Gumnuts and Blossoms splash in the sun. Then the moon comes to tell them the day is all done! The bush folk are all getting ready for bed. Join Snugglepot and Cuddlepie as they wish everyone goodnight. A lovely bed time story and sure to be a favourite for my little one. Goodnight, Gumnuts is a book in the May Gibbs Gumnut Babies series of board books for young readers. The beautiful illustrations, by Caroline Keys, are inspired by May Gibbs original illustrations. The beloved characters of May Gibbs books: Blossoms, Lilly Pilly, Baby Possums, Ragged Blossom, and of course the Gumnuts, Snugglepot and Cuddlepie, all of these star. Splashing in the sun and walking a bull-dog ant, swinging and climbing, all these need to be abandoned for bedtime talk, dinner, a nice warm bath, a story, then one last giggle before laying down sleepy heads. Enchanting! May Gibbs (1877-1969) came to Australia at the age of four. Even as a child May drew and painted, encouraged by her parents. She studied art, both in Western Australia and in England, before settling in Sydney to follow a successful career as a writer and illustrator of children’s books. 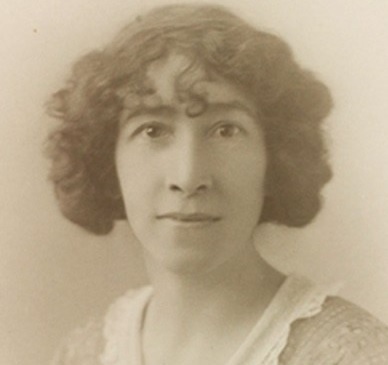 Her most famous book, Tales of Snugglepot and Cuddlepie, was published in 1918. Her bestselling series featuring the Gumnut babies, their friends and their foes, established an enduring mythology of the Australian bush for generations raised firmly on traditional European fairytales. In 1955, she received an MBE for her contribution to children’s literature.